George Orwell wrote for a left-wing British newspaper in the 1940s. George Orwell is best known for his classic novels 1984 and Animal Farm. However, he also wrote many essays, letters, and reviews, many of which can be found in his book George Orwell: As I Please 1943-1946. That book comprises a series of articles written between 1943 and 1947 for the British left-wing newspaper Tribune. Because Orwell was writing for a left-wing newspaper, you might be inclined to think that he would prefer socialism to capitalism. But as usual, the truth is more nuanced. In one of his articles, a review of The Road to Serfdom by economist F.A. Hayek and The Mirror of the Past by K. Zilliacus, Orwell wrote not only about the books themselves, but also about how his own observations about economic systems informed his views on them. “Taken together, these two books give grounds for dismay,” he wrote. “The first of them is an eloquent defence [sic] of laissez-faire capitalism, the other is an even more vehement denunciation of it.” He added that they cover the same ground and quote the same authorities, but somehow the authors derive opposite opinions. 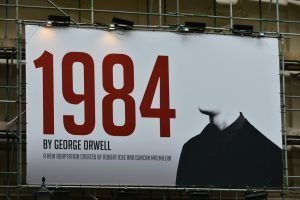 “Each writer is convinced that the other’s policy leads directly to slavery, and the alarming thing is that they may both be right,” Orwell stated. People who espouse liberal views are often accused of being socialists or communists. 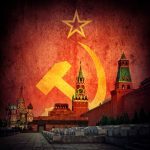 In order to understand whether those accusations have merit, we need to understand exactly what socialism and communism are, and how they differ. First, socialism and communism share the belief that the resources of the economy should be collectively owned by the public and controlled by a central organization. However, the two systems differ in their beliefs about who should manage and control the economy: in socialism, the people themselves decide how the economy should work, which makes it a liberal system. Communism, on the other hand, controls its economy through a single authoritarian party, and is thus characterized as conservative because the function of the economy is decided by just a few. Socialism and communism also differ in their views of how the wealth produced by the economy should be distributed. Socialism says goods and services should be dispensed based on the productivity of an individual, whereas communism believes that the wealth should be shared by the masses based on the individual’s needs. Socialists can own personal property, but communists cannot. When it comes to views on capitalism, socialism views capitalism as a threat to equality and the public interest but believes there is no need to eliminate the capitalist class because it can be a good system for transitioning to socialism, as long as it is properly controlled. Socialists also believe that capitalism can exist in a socialist state, and vice versa. Communism, on the other hand, says that capitalism must be completely destroyed in order to produce a classless society. From his writing, it seems that Orwell didn’t think that either socialism or free-market capitalism would create a better world. He did say that he believed that politics would turn toward a more collectivist and/or socialist model if public opinion had anything to say about it. “Capitalism leads to dole queues, the scramble for markets, and war. Collectivism leads to concentration camps, leader worship, and war.” And given the choice, people would generally prefer a regimented state government to economic slumps and unemployment. In a 1944 letter to Noel Willmett, Orwell expressed once again his view that even though the war was definitely turning in the Allies’ favor, the damage of a swing toward economic extremism had already been done. “Hitler, no doubt, will soon disappear, but only at the expense of strengthening (a) Stalin, (b) the Anglo-American millionaires and (c) all sorts of petty fuhrers of the type of de Gaulle,” he wrote. So, did George Orwell prefer socialism or free-market capitalism? The short answer is “yes.” But in Orwell’s ideal world, governments would combine the best of both socialism and free-market capitalism for the ultimate good and freedom of the people. Wasteful Spending By the Federal Government?